Explore Madrid at your own pace! Try the future of tourism, take the Vox City app: the best self-guied tour around. Download the app and discover the city as you like! 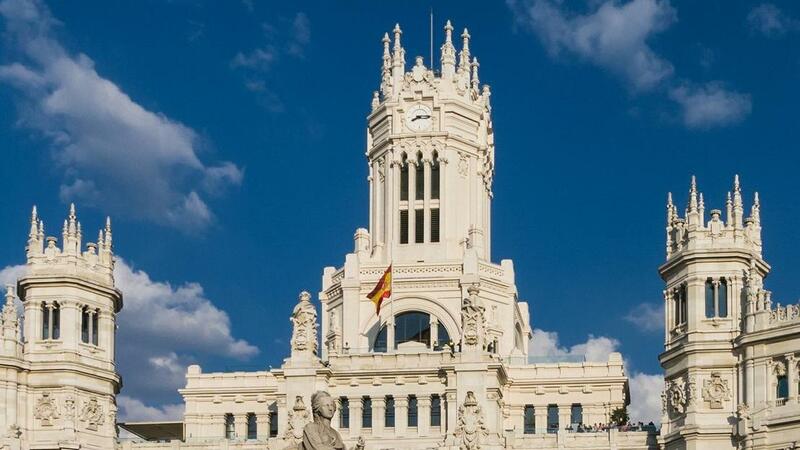 This is a new way for independent-minded travelers to discover the majesty and culture of Madrid, including its fashionable shopping streets and its artist treasures. This self-guided sightseeing method is a state-of-the-art application that uniquely combines public transportation and walking tours with high-quality audio narration, rich visuals, helpful text, and offline navigable mapping to transform your smartphone into an intelligent assistant and reliable travel companion. Live the city at your own pace, while discovering more than any guide could ever tell you. You’ll learn about curiosities, culture, stories, and secrets at over 100 points of interest while listening to your local storytellers in a choice of six languages. You can navigate to personal drop-pins and travel across the city while enjoying the auto-play commentary on carefully mapped routes using buses, trams, walking or bicycles. You will even receive help seeking out the best photo-spots and free Wi-Fi areas. Whether you follow the suggested itineraries, or simply explore at your own will, you’ll uncover Madrid glories in your own way and at your own pace, by day or night. Open the Vox City app and scan your QR code, to download and activate the digital content you have purchased. (Please note that this QR code can only be read by Vox City app).